I’m going to ignore the fatal flaw of this photo (except to point it out: that blurry bit of the parsley in the foreground. And say: it’s a crying shame). I think (I think) I like the black and white version better. Usually, it’s hands-down the color version for me, but it’s close so I’m going to feature the B&W this time. Tumbling flower beetle (Mordellidae) on parsley. 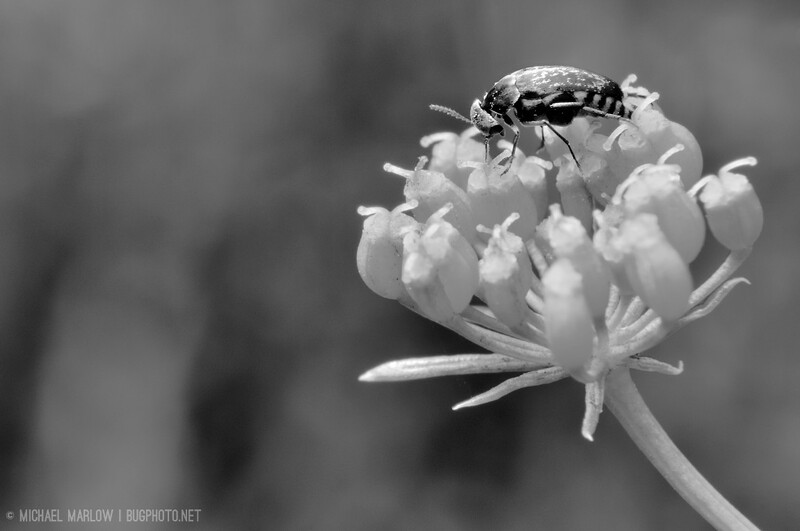 Posted in ColeopteraTagged beetle, black and white, insect photography, Macro Photography, macrophotography, monochrome, Mordellidae, parsley, tumbling flower beetleBookmark the permalink.